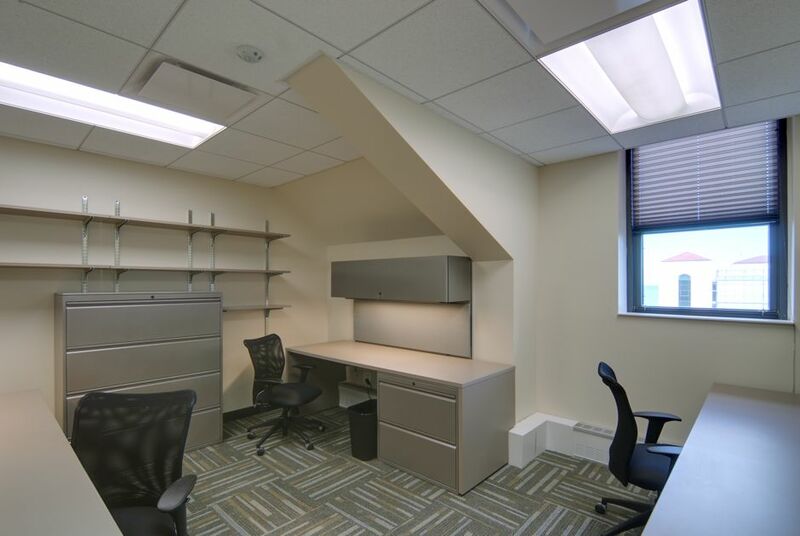 The project was a complete renovation of the top floor of the landmark Cudahy Science Hall building, prepared for the Loyola Biology Department offices shortly before their transition from the subsequently demolished Damen Hall. The tight space is for the most part located under a steep roof supported by steel trusses, which in turn imposed certain limitations on the space plan. 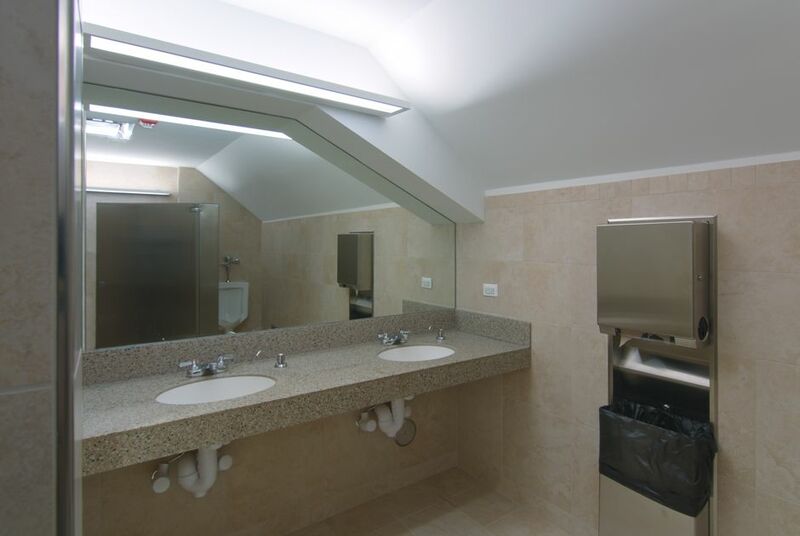 Thanks to our extensive use of 3D modeling technology, we were able to take advantage of every available square foot under the roof when we proposed the offices, conference, storage rooms and social coffee/copy room, along with new restrooms and entry hall. 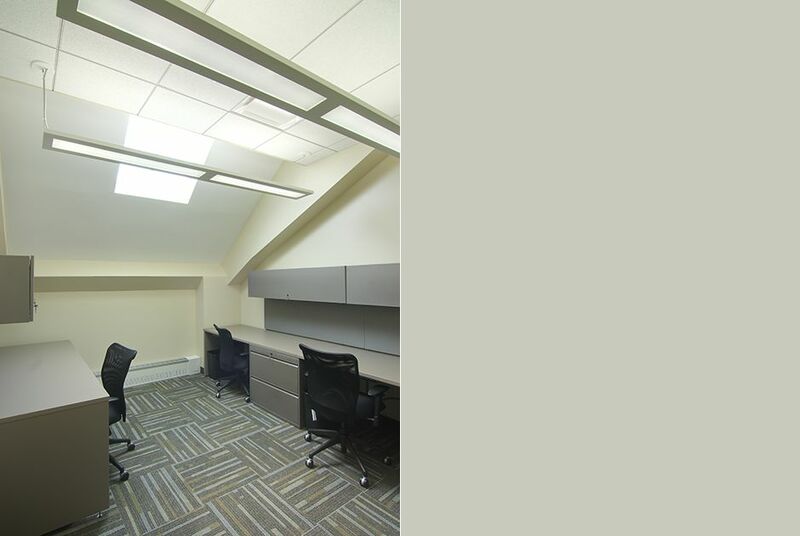 BHMS integrated existing dormers and skylights into the design of new offices to provide daylighting wherever possible.